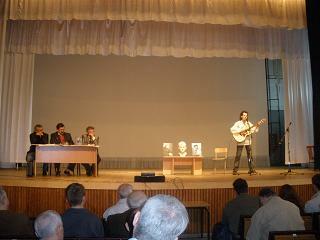 The presentation took place in Kyiv Mohyla Academy 13.04.2010. Historian Roman Koval presented his book about one of the leaders of Ukrainian national resistance movement of the beginning of 1920-ies – Chieftain Orlyk. Writers, bards and kobzars took part in the event.